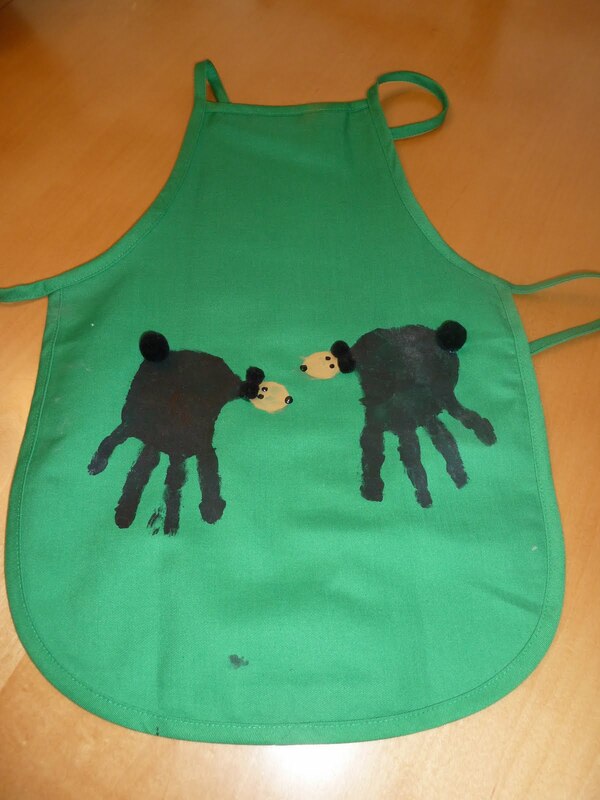 Bear handprints: Use black paint for the hand and tan paint for the thumb. Let dry then add black pom-poms for tail and ears. Use black puffy paint to add eyes and nose. Too cute!